1. 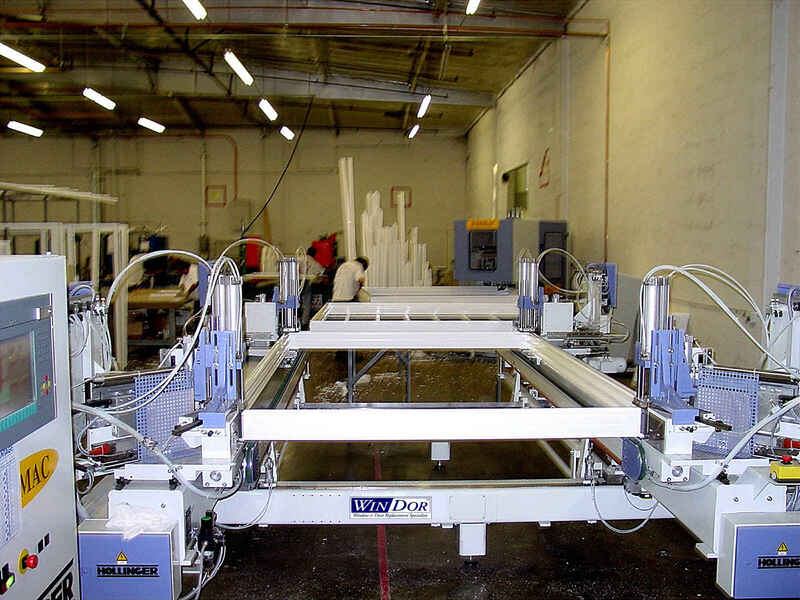 OPTIMIZED GLASS CUTTER– All custom orders are entered in computer and then “optimized” to minimize waste. 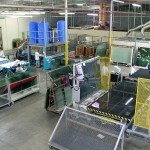 The raw glass or “Annealed” glass is cut for each specific order. 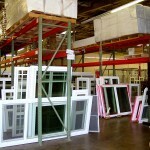 The glass is then resorted back into the racks. This machine uses reverse osmosis to insure water quality. 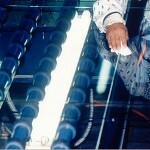 The glass is washed with the purified water to insure the final quality. 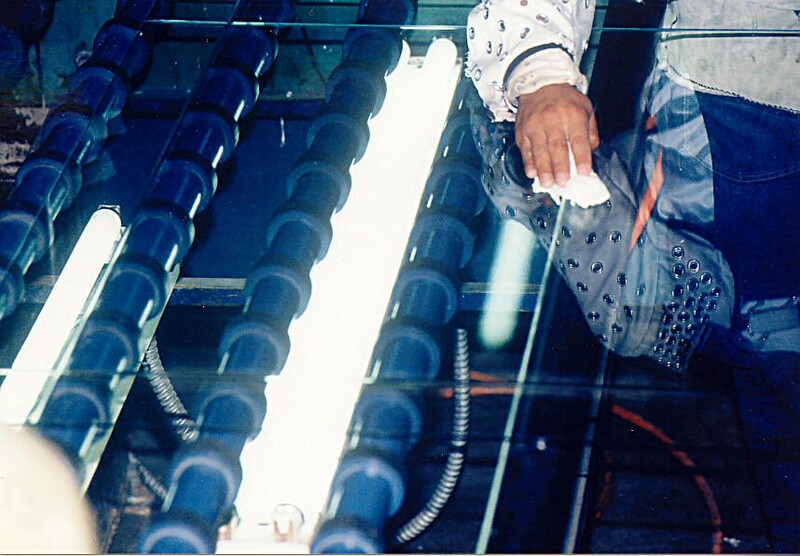 The glass is then inspected on a light table – at an angle – to find any defects in the glass. 3. 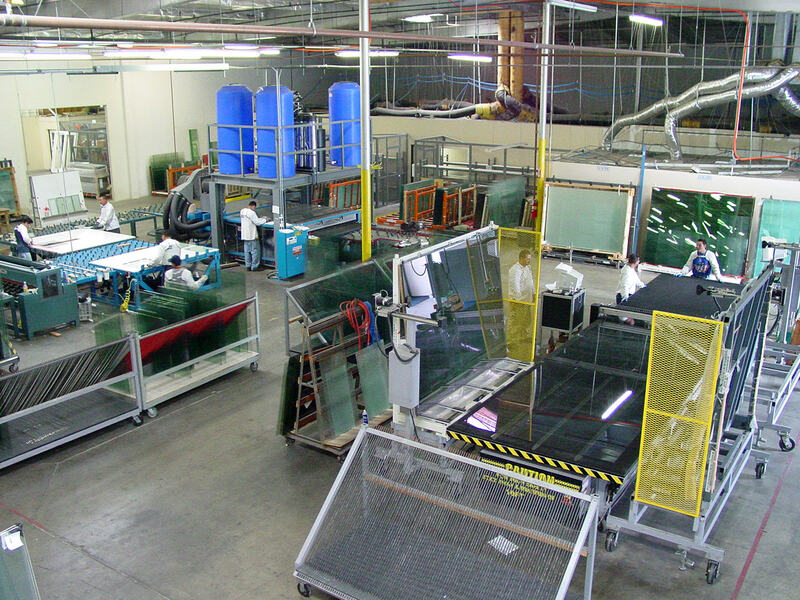 DUAL PANE AG3 – This is the birthplace of our Ag3 system. 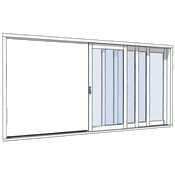 Ag3 is a state of the art glass, with multi coat lowE and warm edge composite spacing system surround up a reactive butyl that works with your glass not against it like all other spacer and butyl systems. 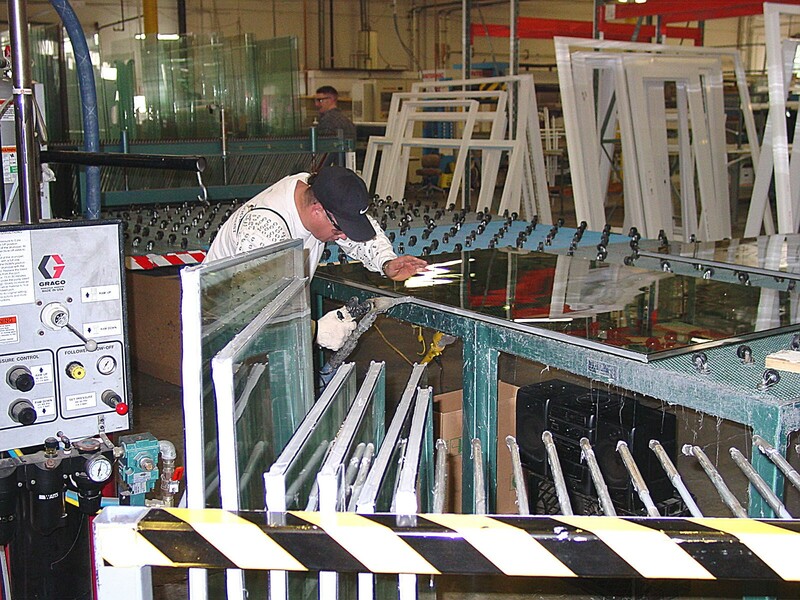 Our butyl system has a memory so when your glass gets hot and cold the spacing system goes back to the original position without breaking the seal of the glass and the butyl. 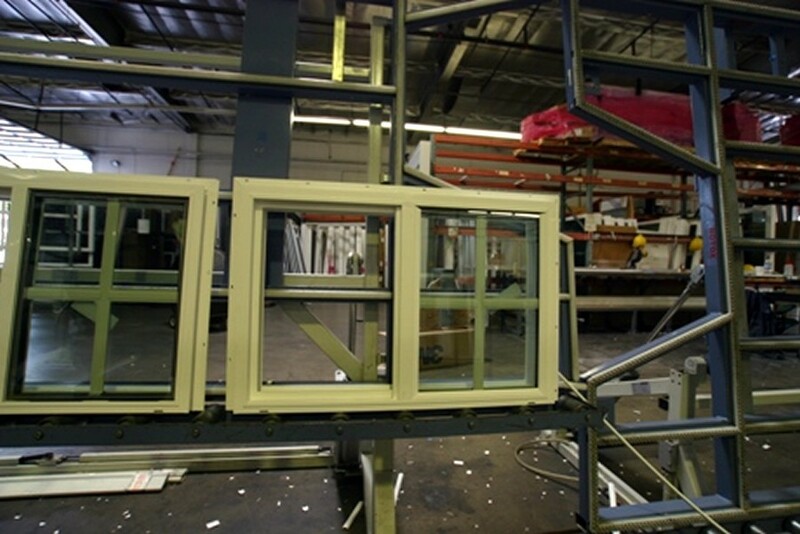 Insulated glass units last longer with our multi- sealed warm edge technology. 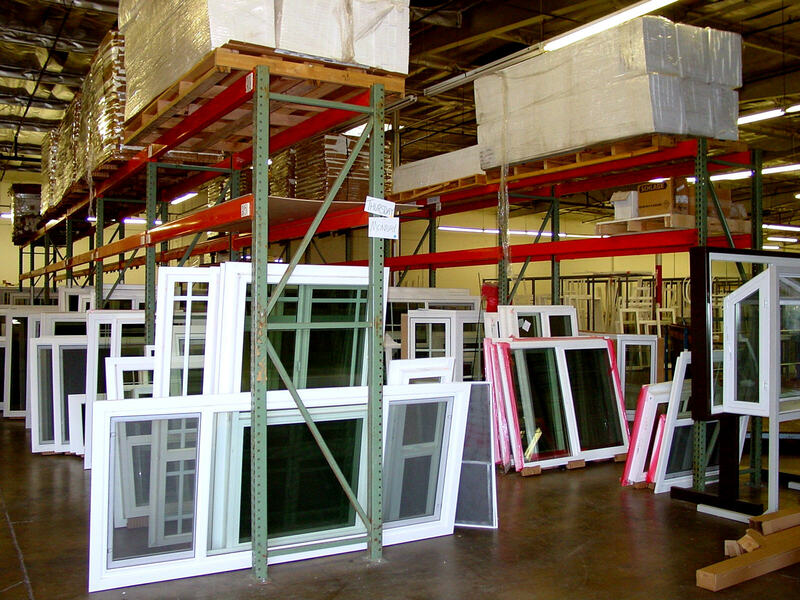 When you think Glass think Ag3 – 3 is the new 2, look for it. 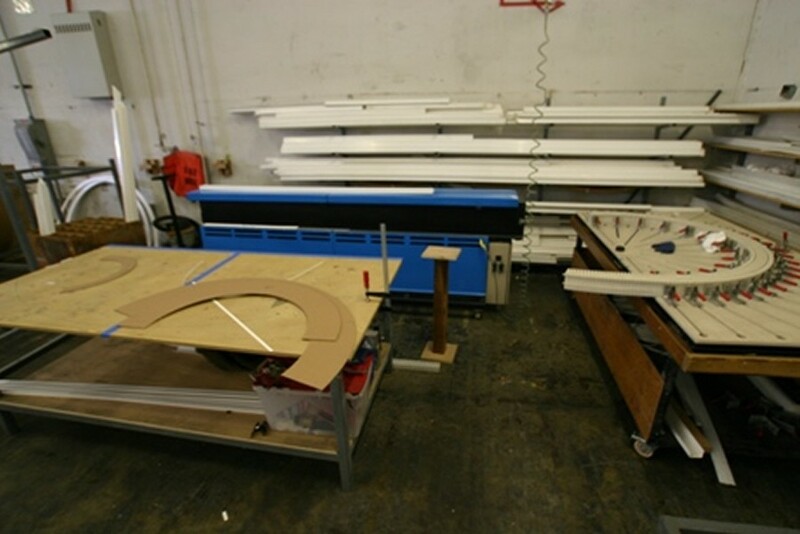 This is the area in which we cut and process the vinyl for your frames and sashes. 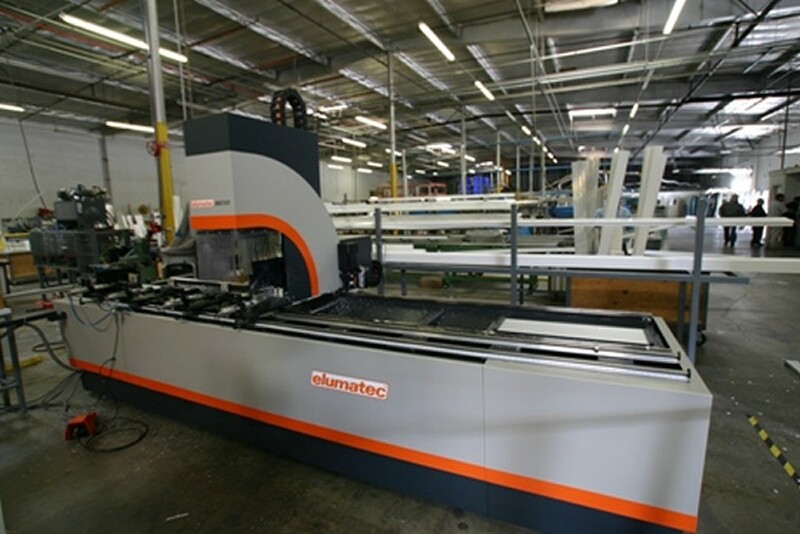 This saw cuts the extruded vinyl profile to exact specifications. 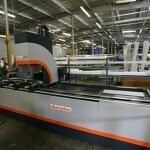 Again we optimize the projects to reduce scrap. 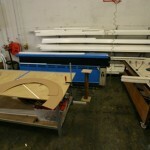 The process insures the “True-ness” of the frame. It actually makes the seams the strongest point of the frame. 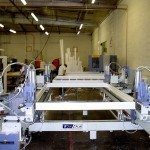 It is welded at 250 degrees Celsius and then held in place for 25 seconds to insure squaring, during the initial cooling period. 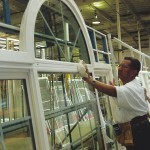 Behind us we finish fabricating the frames and sashes by adding holes for the hardware. 6. 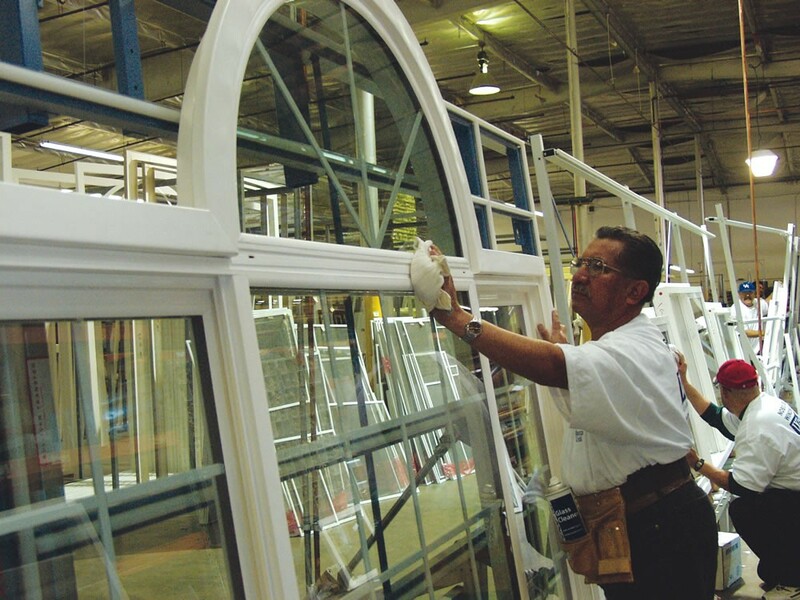 CUSTOM BENDING – With the heating element and the slide-in dyes, we can fabricate and shape frame for your specialty arched windows. 7. 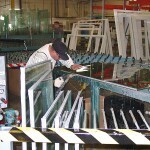 COATING BOOTH – This is where we apply the coating on our windows. 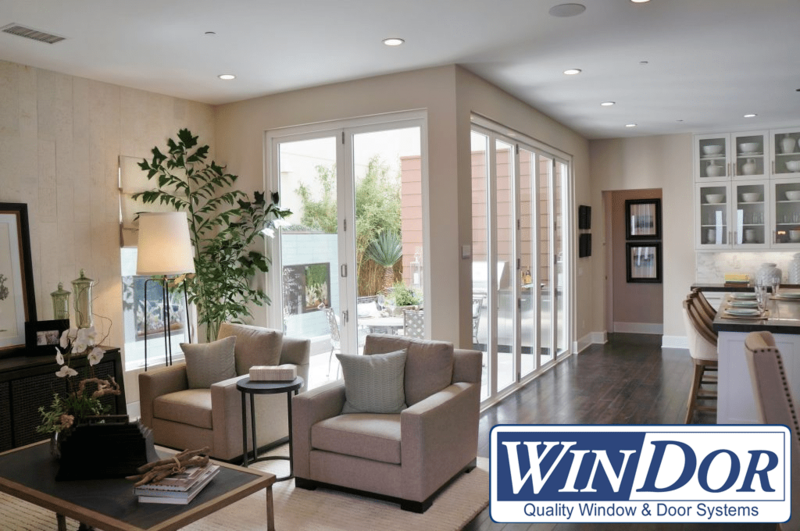 Aside from our standard Win-Dor White, we have several color choices to choose from. 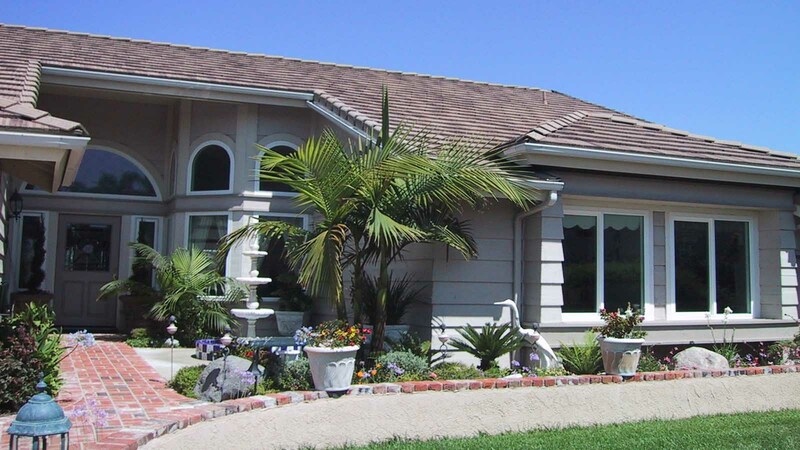 These are applied to the exterior only, which allows you to keep White on the interior so that the hardware color matches. 8. 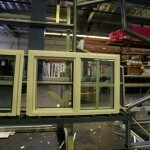 GLAZING – This is where we ‘Marry’ or join together the glass to the sash and frame and assemble all of the pieces. 9. 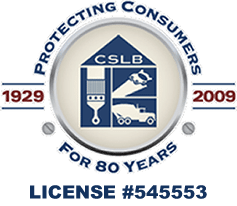 INSPECTION AND LABELING – In this area we do a final inspection on the finished product and then we label it. 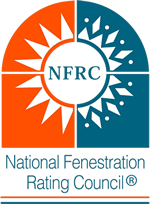 The same computer system that told us how to build this window follows a barcode through the manufacturing process and scans through more than 18,000 different thermal charts and test results to come up with your accurate NRFC and Energy Star label. 10. 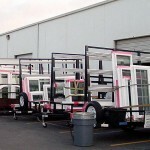 STAGING – The final step in the process is staging it for delivery and installation to a home or business near you. 11. 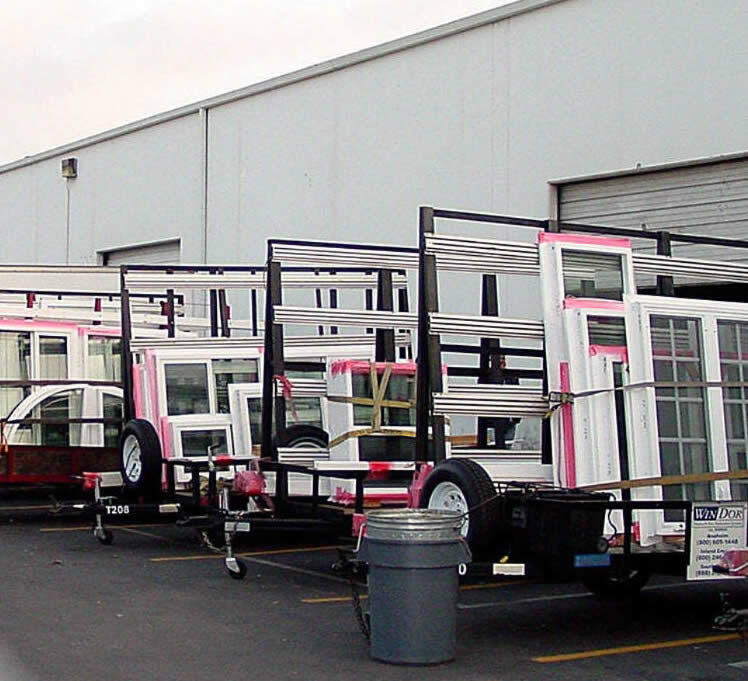 LOADED FOR DELIVERY – The windows are then loaded onto trailers by one of our 20+ install teams who go out daily to transform homes and businesses like yours.